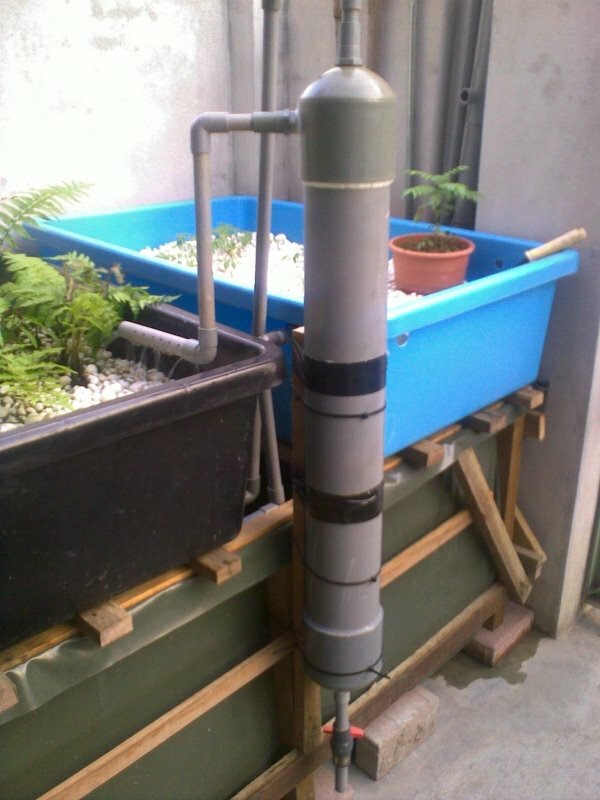 It will be sometime before my new aquaponics setup ready, meanwhile the old one need to go on. 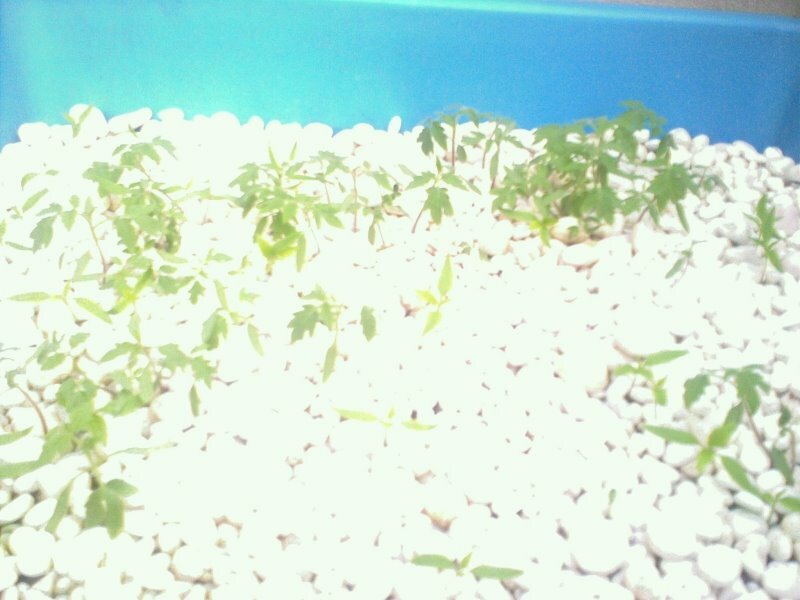 Fishes, after my last addition is doing fine, but there are too few plants on the growbed to clean the water properly. I hook up a prefilter to one of the bed, so that water will have less fish solids as it enter. It a quickie job since this setup is temporary while new one conditioned. I use a 30 watt aquarium pump for filter inlet. Diagram above is type of filter used. I will check on the effectiveness of this filter after a week, if a lot of fish solids drained out then its good. Click here for detail diagram of filter. Fern doing well, I can see new roots forming and new fiddle heads sprouting out. 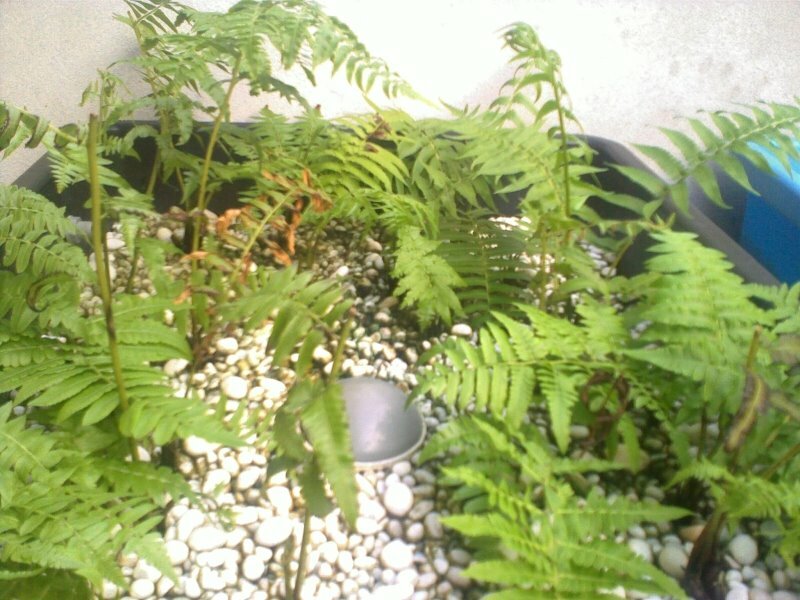 These fern was subjected to a few transplanting while I'm moving the beds. It will take another 2 weeks of so for them to recover. Tomato and Chili seeds we sprinkle on the bed, it germinate and give it another week or so I'll trim down to ensure healthy growth. As I mentioned previously, I don't expect the plants to do well, it need at least 2 to 3 months for growbeds to mature at best about 4 months. Good work on your prefilter design. It seems like it work just like a clarifier but only smaller and easier to maintain. Does it remove all the solid from your system? By the way since you are using a gravel growbed, is there a lot of sediment inside your grow bed? Do you clean it regularly? By the way, I live in Pahang...err...kat mana nak beli leca(light expanded clay aggregate)? How much it costs in Malaysia? Right now I'm using coconut fibres in my deep water culture growbed. It didn't remove much, in grow bed sediment present but I let the natural process takes over. I have no fix schedule to clean the grow bed. Sediment should not cause much problem. @Ogrish, that's a good one.